Custom Caption: Pre-Wire your new home during construction to be technology ready when you move in. 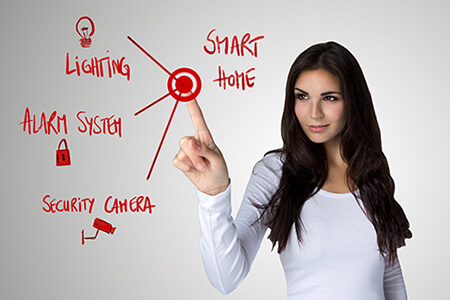 The key to a Smart Home is Smart Wiring! Regardless of your budget, creating an infrastructure to support current and future technology for your home is essential. Many mistakes are made in new construction by not pulling the right wires to the right places. The key to a smart home is smart wiring. Let Sure Site design the pre-wiring infrastructure you need for ever increasing technology. Smart wiring will allow for any feature you want. If your home has already been constructed, don’t be discouraged! Sure Site can still install wiring that is masterfully hidden in walls, ceilings, and floors so you can add those features to an existing home.